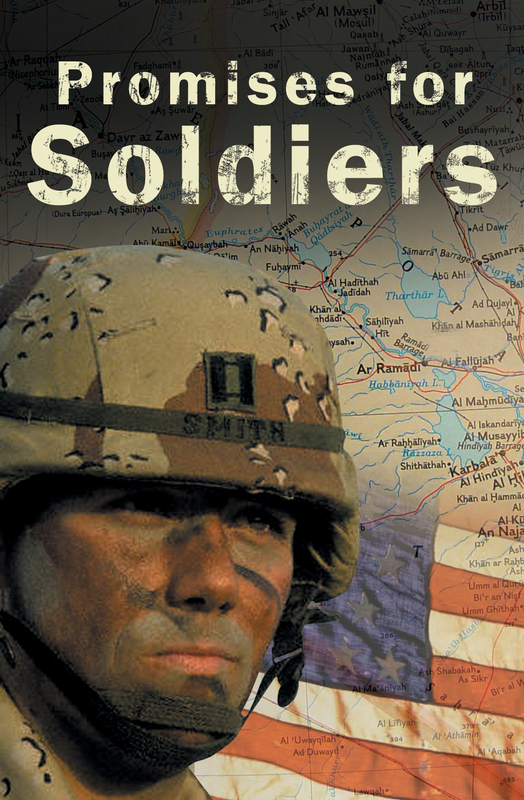 This tract contains promises from God’s Word to encourage soldiers and lead them to a saving knowledge of Jesus Christ. Where can you turn when you are overcome by fear and doubt? God's Word offers peace and comfort in times of physical and spiritual danger. God promises, "Do not fear, for I am with you; do not be dismayed, for I am your God. I will strengthen you and help you; I will uphold you with my righteous right hand" (Isaiah 41:10). "Never will I leave you; Never will I forsake you" (Hebrews 13:5). "Do not be anxious about anything, but in everything by prayer and petition, with thanksgiving, present your requests to God. And the peace of God, which transcends all understanding, will guard your hearts and your minds in Christ Jesus" (Philippians 4:6-7). "God is our refuge and strength, an ever present help in trouble." (Psalm 46:1). "Even though I walk through the valley of the shadow of death, I will fear no evil, for You are with me . . ." (Psalm 23:4). "'Because he loves Me,' says the Lord, "I will rescue him; I will protect him, for he acknowledges My name. I will be with him in trouble'" (Psalm 91:14-15a). Jesus promises, "Whoever hears My word and believes Him who sent Me has eternal life and will not be condemned; he has crossed over from death to life" (John 5:24). Admit that you are a sinner and that your sin separates you from God. "For all have sinned and fall short of the glory of God" (Romans 3:23). Believe that God loves you, and that He sent His Son, Jesus, to pay the punishment for your sins. "For God so loved the world that He gave His one and only Son, that whoever believes in him shall not perish but have eternal life" (John 3:16). Confess your sins and receive God's forgiveness. "If we confess our sins, He is faithful and just and will forgive us our sins and purify us from all unrighteousness" (1 John 1:9). "God, I realize that I have sinned. Thank you for sending Jesus to pay the penalty for my sins so that I would not be separated from you forever. I turn now from my sins and invite You into my life."